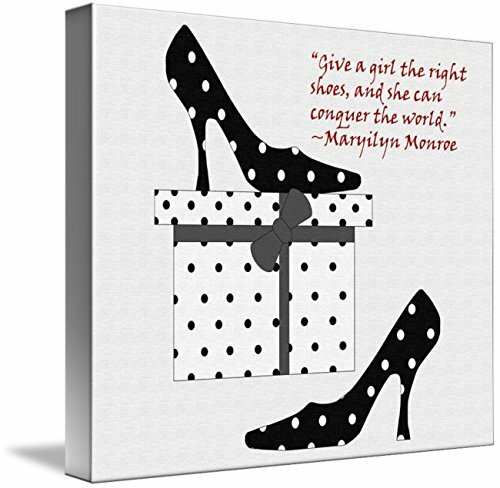 Gallery-Wrapped Canvas entitled 'Thre Right Shoes'. "Give a girl the right shoes, and she can conquer the world." e with a 365 day workmanship guarantee. Archival-quality UV-resistant inks. Canvases are stretched across a 1.5 inch thick wooden frame with easy-to-mount hanging hardware. Canvas is a 65% polyester, 35% cotton base, with two acrylic latex primer basecoats and a semi-gloss inkjet receptive topcoat.